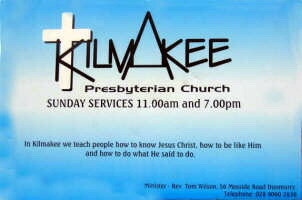 Kilmakee Presbyterian Church, Dunmurry. The church, opened in 1959, replaced a wooden building erected in 1958. The church hall (on the right) was opened in 1967. Ballybog Road, Seymour Hill, Dunmurry. The first minister, Mr David Henry Alexander Watson was ordained in First Lisburn Church in 1956 to work in Lambeg and in Seymour Hill. Services were held in Kilmakee Orange Hall until a wooden building was opened for worship in June 1958. In 1960, Mr John Morrow was ordained to assist Mr Watson and he became the first minister of Kilmakee in 1962. The present church was opened in September 1959 and a new church hall, largely built by voluntary labour, was opened in February 1967. Further extensions were added and renovation to the church entrance completed in November 1973. 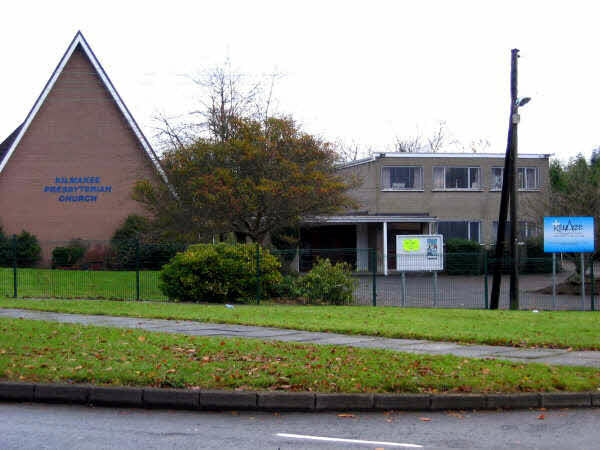 In 1975, the Seymour Hill church extension charge memorialised the General Assembly and was erected into a fully constituted congregation. 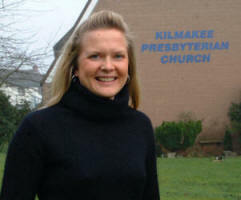 The Rev Ruth Patterson, the first woman ordained to the ministry of the Presbyterian Church in Ireland, was installed in December 1977. On leaving in March 1991 she went to work full time with Restoration Ministries whose base is the former Kilmakee manse, 4 Thornhill Road, Dunmurry. 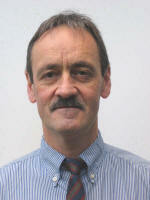 The present minister, the Rev Tom Wilson, was installed on 29th November 2000.